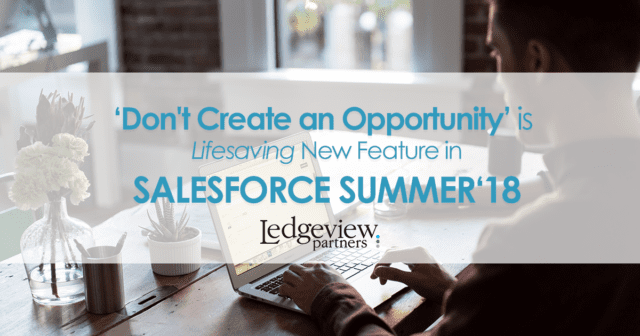 “Don’t Create an Opportunity” is a lifesaving new feature for Admins in Salesforce Summer ’18. There are many to be excited about, but this one stands out to Admins that used to suffer headaches with their Users over having to manually check this box every time. It offers the ability to not create an Opportunity by Default in the Convert Lead Window in Salesforce Summer ’18. 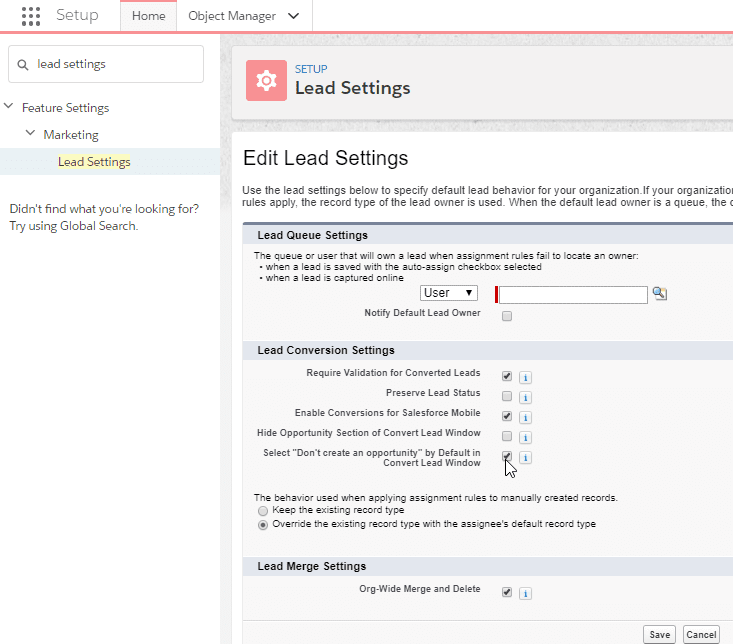 This feature offers immediate benefits Users and Admins will love. You used to have to custom create your own button in order to do this, but now it is available for Users via the update. The overall capability eliminates the stress and anxiety of accidentally forgetting to check this box. Increase efficiencies and save time. You won’t create unwanted Opportunities anymore in Salesforce Summer ’18 (AKA – Opportunities that really aren’t Opportunities for your Salesforce Organization).